Back to school season is officially here! 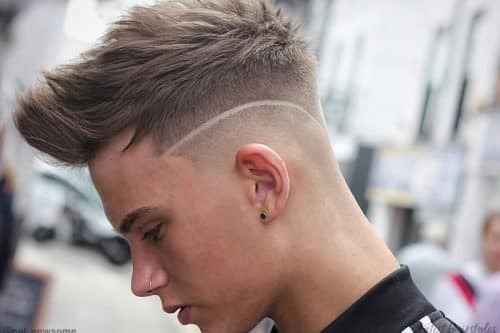 Along with all those new school supplies and cute outfits, you’ll want to head back to school in style by mastering these 10 back to school hairstyles. The best part is, they’re easy to pull off when in a morning rush and super stylish, too. Why we love it: This look has attitude, and takes less than 5 minutes to do! What you need: To get this hairstyle, all you need is a few bobby pins, hair spray and a teasing comb. Simply pin half the hair in a deep side part, tease for volume and pin back. Be sure to use some shine serum like Frederic Fekkai Brilliant Glossing Sheer Shine Mist to top off the look. Why we love it: This hairstyle is cute, sassy and almost goof-proof to do! What you need: Not great at braiding your own hair? Try a Hairuwear Clip-In Rope Braid Hair Extension. Add some texture to your locks to make the look messy and you’re good to go. Why we love it: It’s not your average side ponytail. What you need: A curling iron and soft hair ribbon like these Goody Ouchless Ribbon Elastics. Use a curling iron to curl your hair and then pull to the side in a side ponytail. Use smaller pieces of hair to wrap around the ponytail and completely cover the hair ribbon with your hair. Don’t feel like struggling with the wraparound? Fake it with Mia the Tonytail Ponytail Wrap. Why we love it: A bit of volume and movement goes a long way. This hairstyle looks effortless yet is filled with loads of style. What you need: You’ll need a big barrel curling iron, like this Hot Tools Gold Curling Iron. We recommend using 1 1/2-inch to 2-inch barrel to get this look. Run fingers through your hair to loosen any waves created and gently tease around the top for added volume. Why we love it: Super straight and sleek always looks sophisticated, and never goes out of style. What you need: A great flat iron, like this Chi Ceramic Hairstyling Iron. You’ll also need an awesome shine and smoothing serum; we recommend Paul Mitchell Super Skinny Serum. Why we love it: This is not your typical headband! And we love how braids invoke a youthful look. What you need: You can DIY this braided hair headband or, get one already made! Just slip on a Hairuwear French Braid Band in a color that matches your own hair color and you’ve got a sassy style that won’t make you late to first period. Why we love it: If there’s one lesson we’ve learned about our days in school, it’s that this is the time to experiment and have fun! So how could we not love a look with funky highlights? What you need: If you’re looking for inspiration, check out this post on 20 Creative Hair Color Ideas. Ready to DIY this look? We recommend a hair chalk or hair shadow. You can also try Streekers, which come in eight vivid temporary color options and a liquid formula that won’t brush off like chalk. 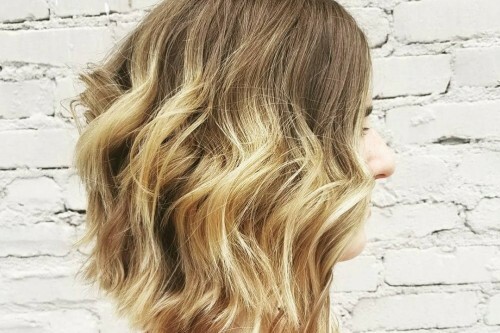 Why we love it: How can you not love this classic look of fresh, fun and flirty waves? What you need: A hair wand like this Bedhead High Roller Styling Wand. You’ll want to wrap the hair around the barrel, starting around the mid-section of your head to create those loose curls. Why we love it: This is your total bombshell I-want-to-turn-heads look. What you need: An awesome hair tool like this BaByliss Nano Titanium 1″ Curling Iron. If you don’t have nearly as much hair as Salma Hayek, fake it with some clip-in hair extensions. Remember to curl hair away from the face to get this look. Why we love it: A half up half down hairdo is the best of both worlds; it gets hair out of your face, is easy to do and doesn’t take long to style. What you need: A fine tooth teasing comb like Goody Style Tail Combs. Tease at the crown to create some volume, smooth over and then knot half of your hair back. Use some hair to wrap around the ponytail for this look. Want to really stand out in the crowd? Check out these cool and different hairstyles for school. 17 Teen Hairstyles for Summer: Which One Do You Love the Most?